The rewards one stands to reap at work—personal and professional growth, happy clients, recognition from a boss or colleague—are sometimes far and few between. But what about those companies where the distance is not so great between the sweat you put into your job and the satisfaction that you get doing it? 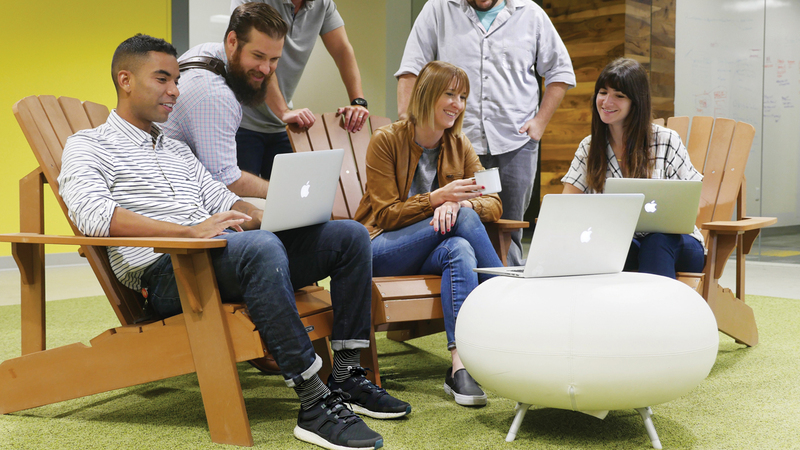 Each year, Ad Age seeks to find the best of these workplaces, the companies that are quantifiably ahead of the pack when it comes to factors like benefits, inclusion and employee development. This year, we present a new-and-improved Ad Age Best Places to Work 2019, designed with our new partner, Latitude Research, to create a process allowing organizations of any size—from companies/agencies with just 10 employees to those with 1,000-plus—an opportunity to compete. Better yet, we built the new foundation on the key factors employees most value today. Most important to employees overall: benefits, like fair pay, health insurance and PTO. Less important: Well, employers who think ping-pong tables and free snacks are their biggest draws should think again. Employees love their fun time, but relative to other essentials, those perks matter less. Perhaps the most striking takeaway, though, is that out of our top-20 ranked companies—organized by size—14 have an employee pool that's 50 percent female or more. What's bad for the glass ceiling is often good for the bottom line. At Elite SEM, employees can work where they want, when they want. They can telecommute from a city where the digital marketing firm doesn't have an office, or start their workday at 11 a.m., or take as much vacation as they need. In fact, out of 510 employees, about 130 work remotely. 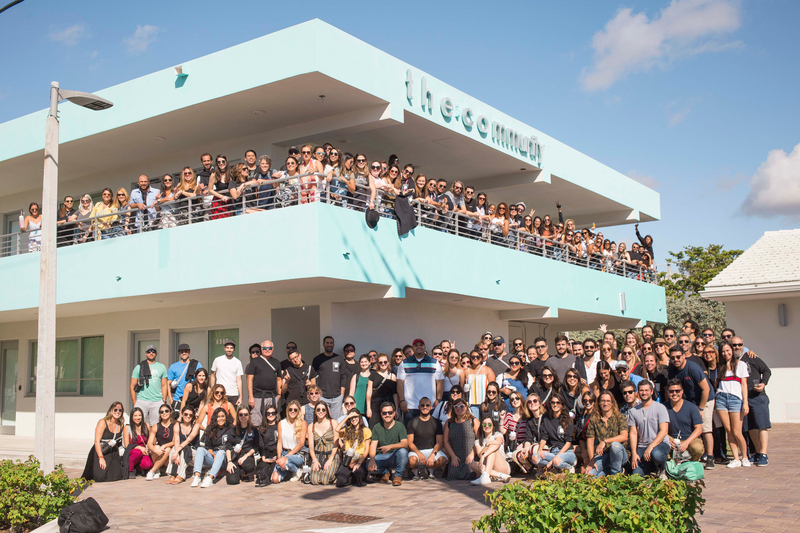 The company was founded in 2004 with the conviction that "agencies were doing it all wrong" and that giving employees more flexibility was the answer, says President Zach Morrison. "Most agencies are client-first. We believe in being people-first—they deliver for clients, which delivers the overall success of an organization." Marketing Director Jane Serra, for example, moved from New York to Fort Lauderdale, Florida, where she works from home several days a week and also goes into the office there. CMO Dalton Dorné was hired in Charlottesville, Virginia, where there is no office; she appreciated how she was made to feel welcome as a remote employee, like the office-in-a-box delivered to her home that included a laptop, two external monitors, and a wireless keyboard and mouse. There's also a monthly stipend for high-speed internet and snacks. Elite SEM, an integrated digital marketing firm, tries to foster a sense of empowerment and encourages staff to take an entrepreneurial approach to problem-solving. Employees in Los Angeles and Philadelphia, for example, approached human resources with ideas to boost diversity; staffers then took ownership of the project, including recruiting more at diverse colleges, with support from HR. The company says about a quarter of its staff is now from a minority or multicultural group. Most employees are millennials, and the company says its flexible, entrepreneurial culture is what young staffers are looking for. For ambitious workers, the rewards can be big: Compensation is calculated under a complex system largely tied to performance. That means someone who doubles the business they handle can double the paycheck. The robust benefits package includes 16 weeks of leave for primary caregivers after the birth or adoption of a child (with 100 percent pay) and six weeks of leave at full pay for partners (nonprimary caregivers). "When I first came here, I was like, 'What kind of name is The Community?'" says Maryam Hosseini, a senior connections strategist at the agency. "Then I realized it really was a community." The company's commitment to environmentally friendly policies is among the reasons Hosseini likes her job, and others also cite benefits like childcare reimbursement or compensation, and the four months' maternity leave or one month of paternity leave with full pay. The multicultural agency, where more than 80 percent of the U.S. staffers belong to a minority or multicultural group, also partners with cultural centers, women's support groups and LGBTQ organizations. Luis Montero, president of The Community—which is part of Publicis Groupe—says the agency prioritizes access to senior leaders and open communication, whether the news is good, bad or ugly. "We're super collaborative and inclusive, and our culture is no exception," says Montero. "We kind of open-source it. We spend a lot of time understanding who our employees are and what is important to them, but then [we] invite them to help us curate the cultural experience. It gives them co-ownership and results in a culture that's open and reflective of what really matters." At Wpromote, prospective clients receive a deck declaring, "Perks do not equal culture." It's a core mantra, according to founder and CEO Mike Mothner. "There's a wild misnomer. Many places with ping-pong tables have a good culture, but ping-pong tables don't make a good culture," he says. "Culture means connectedness, transparency, autonomy." Wpromote trusts its employees to work from home and not abuse an unlimited vacation days policy, and it embraces transparency by sharing its quarterly board meeting decks with all of its nearly 400 staffers. 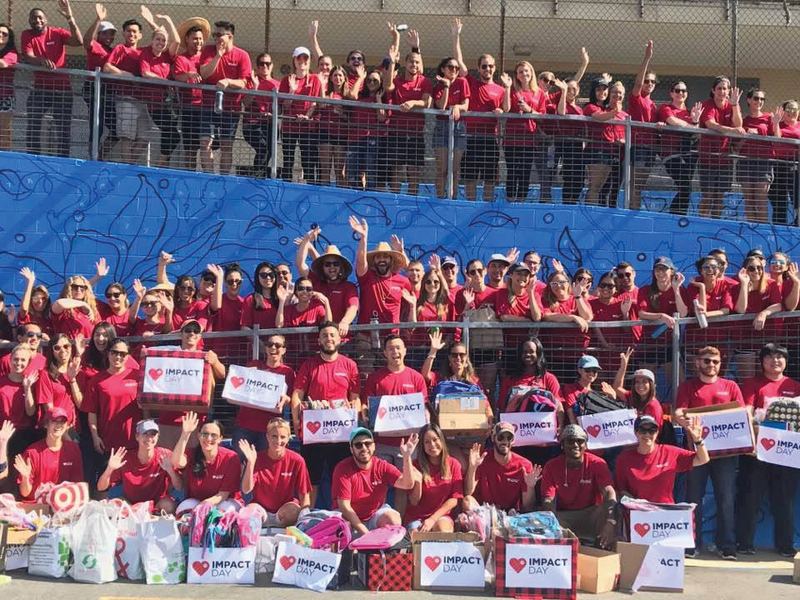 Other initiatives, like a performance-based compensation model, regular innovation hours where employees can showcase their work and an in-house charitable effort called Wprovide, help the company stand out in a sea of ping-pong tables. Wpromote's mantra: "Perks do not equal culture." With its "Unity 2040" initiative, the Interpublic Group of Cos.-owned media agency UM aims to have an employee diversity mix in 2020 that reflects what the U.S. population is projected to be in 2040. It seems to be well on its way: Currently, 55 percent of senior management is female and 25 percent of senior management belongs to a minority or multicultural group. The agency prioritizes "belonging" says U.S. CEO Lynn Lewis. (They prefer to use this term instead of "inclusion," as it encourages employees to think like a community, says Lewis.) "It's not quota-based. It's not about driving a number. It's about driving an organization and a community that is deeply committed to an understanding of the value of a diverse organization—whether that be gender-based or ethnicity-based or LGBTQ-based. The focus is about ensuring we have an organization that represents every diverse population that we serve." "I feel like this agency, more than any other place I've worked, is very supporting of diverse groups," says Warner. "I'm a working mother, and I'm also an immigrant from the Caribbean and I'm also black. ... I can look around and see that growth of other diverse groups. I'm not just a token voice. I'm a voice that's actually valued." Employees also praise leadership for being accessible and transparent about how the company is doing, through regular meetings with upper management, and for an environment where senior leaders don't hide out in their offices and instead make an effort to get to know employees. The San Francisco-based publisher of health information for consumers practices what it preaches: Each employee is gifted $1,200 annually to spend on their own personal wellness. 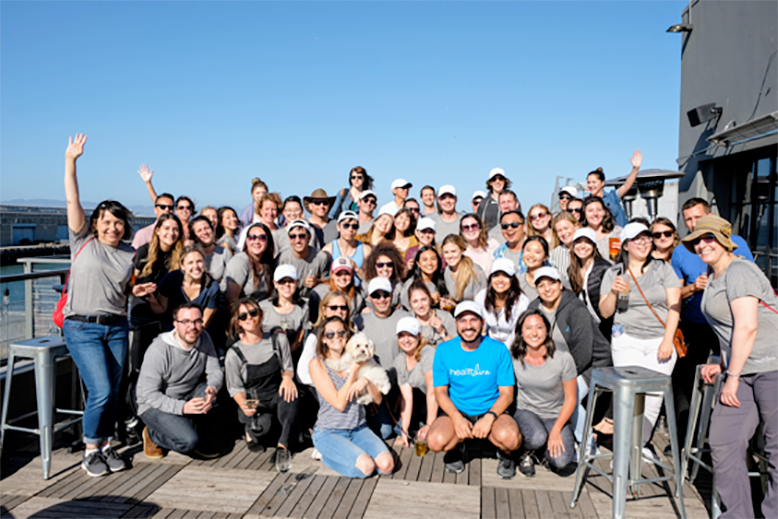 Perks like that, alongside a value-based company mission to create a stronger, healthier world, are attracting employees to Healthline in droves. In the last 18 months, some 17,000 candidates have applied to the company, according to Jennifer Silver, Healthline's people discovery manager. And many are finding roles—Healthline has doubled its headcount to nearly 300 employees in the last two years. Managers like Silver and Lindsay Putzer, VP of people and culture, are looking for staffers who add to Healthline's culture rather than simply fit in. "A lot of organizations try to grow, and grow fast, by hiring people who will fit in, which adds homogeneity, and adds to more people like us, but ultimately does not benefit the business in a lot of ways," says Putzer. "We're looking for people with different backgrounds, experiences, demographics and cultures that can help add to the conversation." The company, not surprisingly, offers a robust health plan. Healthline pays 90 percent of the premium for individuals and 85 percent for dependents, and the same percentages for dental and vision. Diversity is an unresolved challenge for many ad agencies, but Chacka Marketing seems to have cracked the code. Founded and owned by CEO Janel Laravie, the Florida shop's managerial staff is split evenly between men and women, and 30 percent of company employees identify as nonwhite. The agency tackles diversity issues head on, such as a recent, companywide conversation on the topic where people shared stories of discrimination they'd faced in jobs and/or in their personal lives, and ways they could help each other be respectful. "I think it begins with the fact that I'm a female," says Laravie. "There's less predisposition [toward exclusivity] here. To me, diversity is all about not adhering to the norm." Laravie founded Chacka in 2009 after working at another direct-response agency that had filed for bankruptcy. Its diverse client base was built from word-of-mouth and includes Shutterfly, Avery and Harvard Business Review. Chacka's growth has landed it in the Inc. 5000. The company's unusually generous benefits includes 100 percent coverage of medical and dental costs for employees and their families. Laravie says she remembers what it was like struggling to get a group plan and believes "everyone should have access to health care." Everyone also can use the company Uber account for free. "We don't have mass transit in Tampa," she says. "So all of our employees drive to and from work every day. The advertising industry is a partying industry. We like to have our fun, and that often includes alcohol. For me this is just a matter of making sure we're equipped to have fun, but safely." Chacka also offers an open-ended personal time-off policy, which Laravie sees as an important element of "empowerment and trust." There are limits—such as making sure everything gets done and teams have proper coverage. Says Laravie, "You're giving everybody the opportunity to be responsible and make sure work is done and on time. 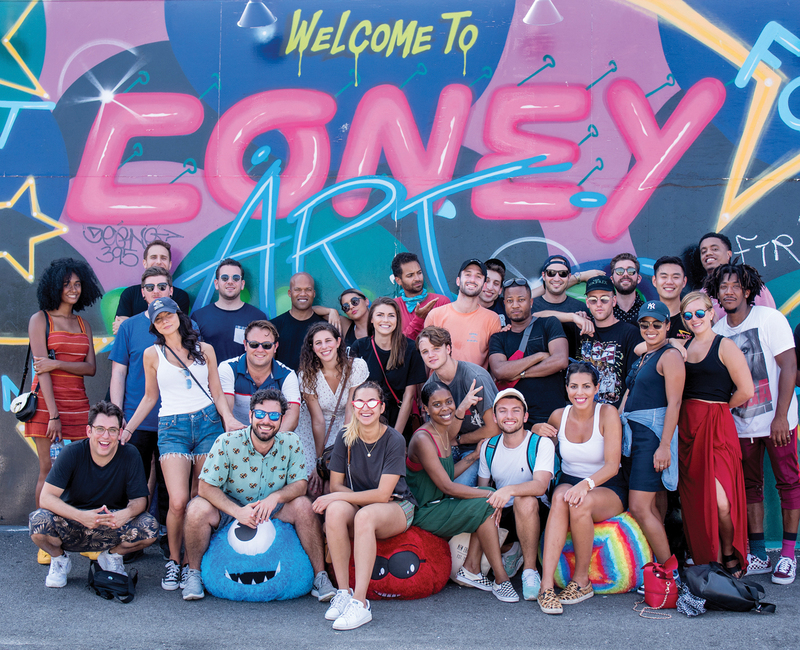 Giving people opportunities to grow in their careers is important to Cogent Entertainment Marketing founder and CEO Mark Zablow, and it's why he believes people choose to work there. Many have come from jobs where they felt they could be doing more, he says, but were being held down "by large corporate politics or legislation or just old-school barriers," such as where they went to school or how much experience they have. At Cogent, every person is set up with a mentor inside or outside the company, and Zablow himself mentors students each summer. The agency, which does influencer, celebrity and event marketing, is 40 percent female (42 percent at the senior management level). It does not actively recruit specific minorities, but it supports and often hires people from Prep for Prep, a New York-based leadership development program that offers students of color access to private-school education. Benefits include 100 percent coverage for medical and dental for employees and families and unlimited PTO. Cogent stopped offering what Zablow calls "out of control and wasteful" perks in 2018, such as numerous lunches and gym memberships, focusing instead on individualized opportunities. "We got caught up in all those perks, and we thought it would change how people would feel about the company," says Zablow. "We learned that talk about growth and opportunity meant more than the T-shirts." Employees are choosing Choozle thanks in large part to benefits like its $65 per paycheck health-and-wellness stipend, which is flexible enough that it can go to massages, gym memberships—even fancy dinners—and 90 percent coverage of health, dental and vision plans for full-time employees. The 6-year-old company, which provides digital advertising software to agencies for buying ads and recently moved into a new office in Denver, also focuses on hiring employees reflective of the country at large. It currently has 62 employees, up from about 50 last year, and of those, 55 percent are male, 45 percent are female and some 18 percent are minorities. "It's a challenge finding a diverse staff, and part of it comes in developing a hiring process that isn't one-size-fits-all," says Megan Sullivan-Jenks, Choozle's director of marketing and communications. Some members of its development and engineering team are not college graduates, for instance, but did go through immersive programs before starting their jobs there. It also had two employees hired while they were in the middle of getting their college degrees. "The more accepting and the more willing to move away from the traditional job description [we can be]," says Sullivan-Jenks, "the more doors we can open up in having a diverse workforce." "Don't mistreat my people," says Closed Loop CEO Lance Loveday. It is, he adds, his one overriding management philosophy. Loveday says he even drops clients that treat employees badly at the small digital advertising company, as an abusive advertiser can mess with morale. "It's one thing for a company to say it looks out for employees' best interests," says Loveday. "It's another thing entirely to have concrete examples of a company potentially sacrificing revenue, or taking reputational damage, in order make sure employees are treated well." Loveday runs a shop of 25 people, half of whom are spread out across the country, working remotely. "We hire people that don't require us to keep tabs on them," says Loveday. The company's employees, however, come together at events during the year at its Northern California headquarters and in Austin, Las Vegas and other locales. Again Interactive President and CEO Glenn Whiting and VP of Marketing Strategy Tim McNamara, who have worked together at various companies since meeting at Ogilvy & Mather more than two decades ago, say the smaller the company, the better. "We always enjoyed being at places that weren't these huge agencies where you lose your name, become a number," says Whiting. Rather than manage from afar, remaining small means they work directly with clients, which include Panasonic, Pearson Education and The Honest Co. The company has excellent retention rates, and Whiting says no employees have left in 26 months. Employee satisfaction springs in part, he says, because Again is meticulous about the process to find a good fit, and they value their employees. "It's really about empowering staff and letting them know that we trust them," says Whiting. "[And] they understand because they bring great ideas to the table and ... they can be heard." Work life is changing, so Ad Age rebooted its annual Best Places to Work report to better capture what matters most in today's workplace and to explore what makes a great place to work. Ad Age Best Places to Work 2019—produced in partnership with Latitude Research, a market research fir­m—identifies 50 workplaces that get the job done: 25 companies with 200 or fewer employees and 25 companies with more than 200 employees. Winners reflect the highest overall numerical scores based on an analysis of questionnaires submitted by employers and survey responses from thousands of their employees. The scoring system factored in six key satisfaction areas, an aggregate of each company's ratings in those key areas and a collective workplace rating to arrive at an overall score. The six key areas: employee benefits, company culture, employee development, company environment, employee engagement and employee perks. Most of the surveyed employees perceive their workplace positively and give their company high marks. Not surprisingly, core benefits (fair pay, health insurance, paid time off) are must-haves and highly valued by employees.But benefits (and perks) alone don't translate to a high workplace score. Instead, company culture and environment are most likely to be associated with high workplace ratings. The factors that most relate to workplace ratings encompass feelings of support, encouragement, empowerment and purpose—areas where top-scoring companies in the survey exceeded expectations. Employees also desire clear communication and work-life balance—areas where many companies came up short in the employee survey responses. Also, company size matters. Those with more than 200 employees are just as likely to earn top ratings on benefits and perks as smaller companies but trail on culture, environment and development. And employee survey findings show staffers at larger companies are just as likely to enjoy their colleagues and feel their individual performance is strong but they feel less valued, supported and motivated than employees at smaller companies. Likewise, employees at smaller companies see more room for advancement for women and minorities, and they feel like hard work results in better pay. In-depth interviews conducted by Latitude Research with the highest-ranked companies overall show how much thought, planning and work goes into creating a Best Place to Work. These companies tend to craft company culture manifestos and to hire (and fire) carefully for the best culture fit. Having any given client be a good fit is important as well. "We live and breathe by those core values," says Janel Laravie, CEO of Chacka Marketing, a Tampa, Florida-based digital media agency with the highest overall score among companies with 200 or fewer employees. "We hire against these core values. We have incentive programs internally to recognize individuals that exemplify these values." The top-ranked organizations have an abundance of strategic and well-thought-out benefits and perks. Management at those companies focused on how they could use benefits and perks to take care of their people and remove barriers that hindered growth and success both personally and professionally. Whether it's parental leave, the ability to work remotely, unlimited vacation time, free lunches, company retreats or game rooms, everything is about making clear to employees: We want you to succeed in and outside of work, we expect a lot from you and you can expect a lot from us in return. "There's a misconception about what culture is," says Zach Morrison, president of Elite SEM, a digital marketing agency with the highest overall score among companies with more than 200 employees. "People think that culture is game rooms and free food and happy hours. And we have all of these. But to me, that's not culture, those are perks or benefits. "To me, culture is how values manifest themselves. … Our culture is around people that are striving for greatness. … There's people really working hard for themselves, working hard for their peers and working hard for their clients … people challenged by their jobs and enjoying being successful at it, enjoying the learning, and people being grateful for each other. That's seeing the values play out themselves." The experiences of employees at the overall highest-rated companies are better across the board. Survey results show they feel differently about their relationships with their co-workers and management, exude higher morale and believe there are more opportunities for growth. And Latitude Research found that senior leadership recognizes how investing in employees pays in profits and satisfied clients. Leaders of top-scoring companies make a conscious effort to empower employees to speak up, ask questions and propose ideas. Investments in employee empowerment and development pay dividends in the form of longer and better working relationships with clients. Top-ranked companies make an effort to show that they care about employees' professional and personal futures. Leaders who put people first ensure that benefits, perks, environment and culture will foster an experience that supports both career and personal growth. Illustration by Cristina Spanò. Web production by Tam Nguyen/Ad Age.